Shoulder pain is one of the common complaints and problems associated with musculoskeletal symptoms that cause patients to seek help from health professionals. 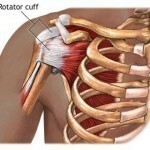 The condition may be localized or it can spread to the lower, upper, right and left areas of the shoulder. To know the appropriate treatments for the pain, it is necessary that patients know the different factors that can cause the condition. To assist patients who frequently experience pain in their shoulders, let us have a closer glance at the various causes, symptoms and treatments for the condition. Additionally, it is also necessary to have ideas about the different methods that physicians use to diagnose the underlying cause of the pain. 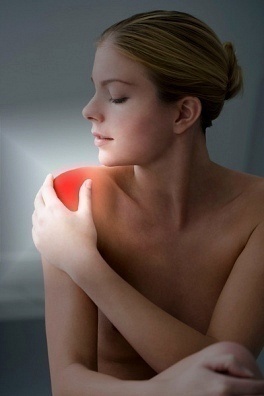 shoulder pain is also one of the symptoms of arthritis, biceps tendon rupture, SLAP lesion and labral tear. Physicians perform a thorough physical examination on patients who have complaints about severe pain in their shoulders. Health experts also ensure that they review the medical history of patients. Other effective and advance methods can also be performed to diagnose the pain’s cause such as arthrogram, x-ray as well as Magnetic Resonance Imaging (MRI). Some of the first aid treatments that patients can try to relieve the pain are heat and ice application, stretching and physical therapy. Additionally, patients can also consume anti-inflammatory medicines prescribed by their physicians. Minor surgical procedures can also be done by health experts to treat the condition. One of the most common procedures performed by surgeons is the arthroscopic surgery. The first approach to treat should pain would be to avoid surgery but persistent pain may require a surgical procedure to combat the problem. 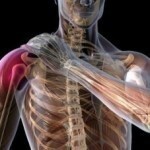 One can keep the following tips in mind to try and avoid shoulder pain. Try and ensure that possible falls can be prevented by fixing potentially dangerous situations such as loose floorboards, stairs and so on. Older people tend to under use their shoulders which can lead to the loss of flexibility in the muscles and connective tissues. A good exercise routine can be implemented to help fix this problem. If you are into sports, always have a proper warm up routine. Heat and cold therapy can be used to improve the range-of-motion.